Database Systems Corp. (DSC) is a recognized leader in providing call notification and emergency alert phone services. 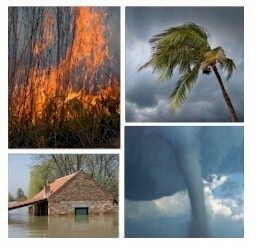 DSC also provides turnkey phone systems for small to large emergency broadcast phone centers. Technology from DSC is ideally suited for emergency notification programs and services. Using our call phone services, we can broadcast warning messages to thousands of households within your community warning of potential catastrophic disasters including floods, fires and severe weather warnings. Pre-recorded community warning system messages can be played giving households travel warnings, advising them where to seek shelter, or providing other safety instructions. We can send a broadcast warning to specific neighborhoods or communities in the event of a wildfire or severe weather warnings. What Is Emergency Voice Broadcasting? "Voice broadcasting is a mass communications technique that involves an automatic phone dialing system broadcasting voice messages to hundreds or thousands of call recipients at once. Emergency voice broadcasting is the application of this technology to deliver emergency messages to a community, organization or group of individuals"
Contact DSC to learn more about our emergency broadcast phone systems and services. To learn how to use our voice broadcasting services, click on the voice broadcast quick tour. (Popups must be enabled on your browser). For a list of other applications and services provided by DSC, please visit our phone applications web page. The American Red Cross selected Database Systems Corp. to provide our emergency voice broadcasting system for it's emergency notification requirements. The Red Cross uses this system to alert its key employees and emergency response personnel during a disaster. Using our inbound IVR included with this emergency broadcast system, Red Cross personnel can record messages over the phone and transmit these messages to selected groups. Contact DSC to learn more about our emergency voice broadcasting systems and phone services.